Get your night life game on top with the latest fancy fashion blazers by After Midnight. After Midnight is all about the night life when it comes to their collection of mens fashion blazers with their attention to fancy and unique styles. 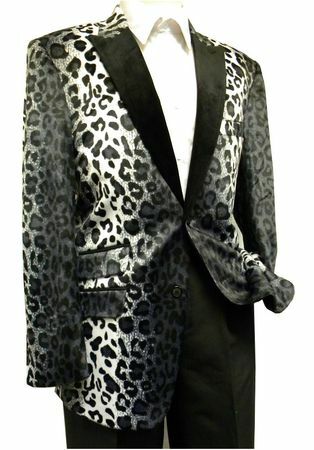 This white cheetah pattern blazer features side vents and comes in a modern fit that will go great with jeans and slacks.